"Imagine waking up and being capable of doing heavy physical jobs without pain or injuries," said Srinivasan. "Productivity would be boosted if people are healthier and safer. Workers currently in those positions would be able to do the job with less physical effort and in a safer way, develop new technological skills, and possibly get paid better. We are hopeful that younger generations will not look down upon heavy industrial jobs as a result." "One of the concerns we have with the technology is that it might be so physically focused in terms of decreasing physical demands that it may drive up the cognitive demands," said Srinivasan. 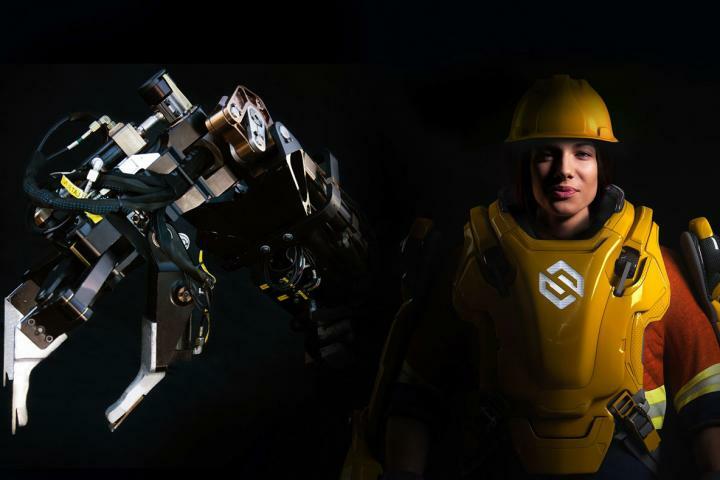 While the engineering team will work to advance knowledge and state-of-the-art in exoskeleton control, human-robot cooperation, human factors, and augmented reality systems, Ge's team will build empirical models of the effects of augmentation technology on worker productivity and well-being, industry profits, and the labor market in general.